The Wildebeest Migration, is one of the “Seven New Wonders of the World”. Nowhere in the world is a movement of animals as immense as the wildebeest migration, over two million animals migrate from the Serengeti National Park in Tanzania to the greener pastures of the Maasai Mara Game-Reserve in Kenya, during July till October. You should go on for this great experience. The Maasai Mara provides what no other reserve in Africa give! This high density and variety of wildlife is unique. It is incredible, it is magical, it is indescribable and it is a must! The migration has to cross the Mara River several times, where crocodiles will prey on them. This is one of the highlights as the animals try and cross the Mara River alive. All Predators are waiting for migration as months before they have a hard time, starving because of less food. So the wildebeest will be hunted and stalked. 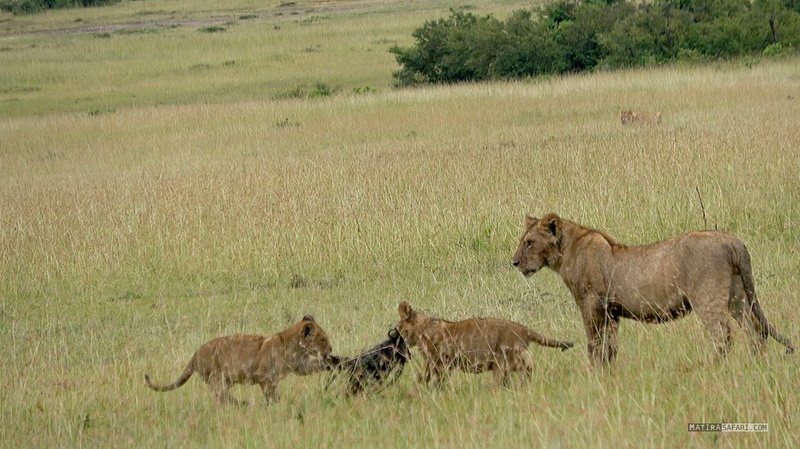 The Maasai Mara also has one of the largest densities of lion in the world and no wonder – this is the one of the major desitinies of most wildlife filmers and photographers.